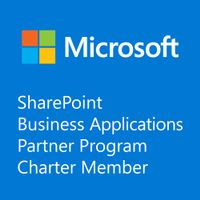 Rencore has announced today that they have been recognized as a Charter Member of the SharePoint Business Applications Partner Program. Being a Chartered Member means Microsoft recognize Rencore’s contribution in helping Microsoft customers implement simplified business processes through the technologies Microsoft 365 has to offer. These technologies include SharePoint, PowerApps, Power BI, Flow, and Forms. For many organizations, the need to optimize and sometimes simplify business processes is crucial for overall productivity and efficiency. Finding a way to cancel the unnecessary ‘noise’ within communication can create a well-oiled machine that keeps an organization on track with company objectives. Rencore steps in and helps organizations bridge the gap between extending SharePoint and Office 365 to fit their needs and securing the very applications that are used to extend it. By helping organizations apply effective application security, management, and governance, the Rencore Platform allows them to securely automate everyday tasks such as workflows and filling forms. "Microsoft currently has over 135 million active Office 365 users, and many are unaware of the risks when extending SharePoint and Office 365 with applications,” said Matthias Einig Microsoft MVP, CEO, and co-founder of Rencore. “Unchecked applications can introduce risks such as data breaches, loss of return on investment (ROI) and poor business performance. The Rencore Platform helps secure SharePoint and Office 365 environments”. Rencore joins a select group of partners who have completed the requirements to be recognized as Charter Members of the program and can display the “Microsoft preferred” seal. Microsoft greatly appreciates their partnership. For further information or comment, please contact Rencore today.